Digital technologies and online connectivity have helped to greatly streamline work productivity and increase accessibility for both businesses and individuals today. Despite providing a range of helpful resources for the average individuals and businesses, the internet has also given identity thieves and fraudsters a set of new tools as well. From stealing passwords to creating scam apps for mobile devices, hackers are making a modern wild-west of the online world—leaving many now wondering how best to protect themselves. Below, you can find a collection of helpful information ranging from what personal information is most vulnerable to hackers, to strategies for combatting the threat of hacking. With resources including an in-depth white paper as well as an assortment of related articles and videos, get the breakdown on protecting your online personal information from hacking here. While recent data breaches and email scandals bringing the threat of hacking into the public eye is a good start, it’s understanding what personal information hackers are hunting that allows individuals to properly protect themselves. Throughout this in-depth white paper, we take a closer look at how the online world looks through the lens of hackers—exploring not only which information hackers target and their strategies for stealing it, but the best practices for ensuring personal information and documents are securely managed and protected as well. Interested in learning more about the critical importance of identifying and protecting the personal information online hackers and identity thieves are targeting each day? Check out these articles, related videos, infographics, and more! With an increasing amount of personal information stored in online accounts and electronic devices, hackers and identity thieves are now turning their attention toward digital targets. Learn more about not only the personal information are looking for, but also strategies for safeguarding both personal and propriety documents and data here. Watch this cyber defense professional, Frank Heidt, explain just how easy it is for a typical company to get hacked, the most common ways people get hacked, and how you can help protect yourself in the future. While greatly improving the efficiency of modern medical practices and hospitals, electronic health records and online connectivity have opened new doors for medical identity theft and data breaches as. Get an idea of what medical identity theft is, what aspects of EHRs are most vulnerable, and how to protect yourself here. Hackers 101: What They Are After, and How to Protect Yourself. Hackers are becoming more skilled and can access your information even easier. Find out what they’re after and how you can protect yourself. Personally Identifiable Information (PII) are pieces of information that criminals are trying to obtain in order to commit fraud, identity theft, and other financially damaging crimes against you. Learn what qualifies as PII, which can be used against you, and how to protect yourself from scammers and cyber criminals. 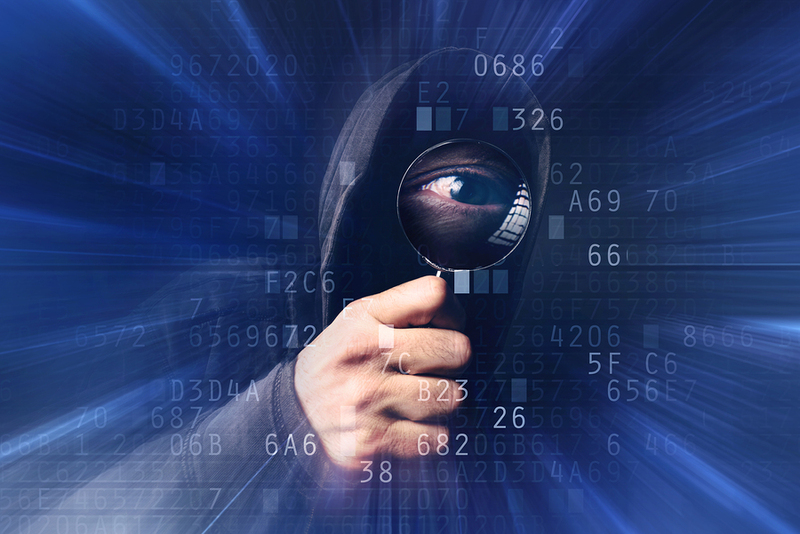 Hackers are targeting businesses at an alarming rate with variable success. The good news is, with just some simple, easy-to-follow guidelines, you can work to protect your company’s confidential information and keep cyber security threats from affecting your business and your customer’s information. Learn more about the ways in which you can improve your business’ security. Low Tech Hacks: Is Your Business in Danger? Data breaches at large corporations constantly make headlines, warning consumers and businesses alike about the consequences of poor document maintenance and security procedures. But it’s not just high-tech, sophisticated breaches that businesses need to worry about. Learn about low-tech hacks and how to avoid them. To get more information on any of Record Nations’ secure document management and storage services, or to request free quotes on secure document management systems from a provider near you, just give us a call today at (866) 385-3706, or simply fill out the form to the right of the screen today!